Landmark Cinemas Canada LP & TriWest Capital Partners are pleased to announce Landmark Cinemas LP has reached an agreement to be acquired by Kinepolis Group NV. The conclusion of the transaction is subject to customary government approvals. Landmark Cinemas Canada LP, located in Calgary, Alberta, is Canada’s second largest theatre exhibition company. 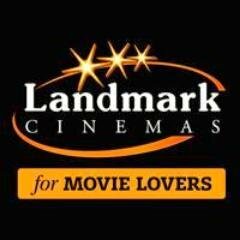 Founded in 1965, Landmark operates 44 cinemas and a total of 303 screens throughout Western Canada, Ontario and the Yukon Territory including five IMAX®, four ‘Extra’ and one ‘Xtreme’ screen. Kinepolis Group NV located in Ghent, Belgium, was formed in 1997 through the merger of two family cinema groups and was listed on the stock exchange in 1998. Kinepolis offers an innovative cinema concept which serves as a pioneering model within the industry. Kinepolis Group NV has 48 cinemas, and a total of 500 screens spread across Belgium, the Netherlands, France, Spain, Luxembourg, Switzerland and Poland. In addition to its cinema business, the Group is also active in film distribution, event organization, on-screen advertising and property management.